Home > Ask Our Experts > Sold Collectible Item: Am I Liable For Capital Gains Tax? 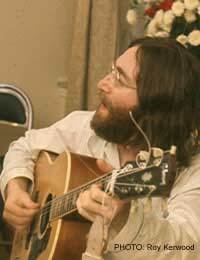 I sold a John Lennon autograph. He did a 'sketch' to accompany the signature. Am I liable for capital gains on this? I am over 65. Capital Gains Tax (CGT) is something which affects comparatively few people. While particularly wealthy individuals frequently arrange their finances in such a way as to fall mainly under the auspices of CGT rather than Income Tax, and are therefore very well versed in its intricacies, most people have no cause to look into this particular form of taxation. However, in instances in which valuable assets are being sold, a CGT liability may arise. You have not mentioned how much you sold the autograph and sketch for. This is important, as it is likely to determine whether or not you must pay CGT. Capital Gains Tax is payable on the difference between what you paid for an asset and what you earn when you dispose of it. This might be through a sale, exchange or gift. If you were given the item in the first place, CGT may be payable on the entire sale value, as you did not pay anything to acquire it. To begin with, it should be noted that CGT is only payable on assets worth more than £6,000 when you sell them. Already, depending on the value of the signature and sketch, this may mean that you do not have a tax bill to pay. If the item was worth more than £6,000 when it was sold, you should take into account the other allowances to which you may be entitled. To begin with, you can offset any losses that you have sustained on other asset sales. For example, if you sold another asset for less than you paid for it, you may be able to reduce your potential CGT bill as a result. Furthermore, you will be entitled to an annual tax-free allowance of £11,700 for the 2018-19 tax year*. If, once the relevant allowances have been taken into account, you find that you are liable for a CGT bill, you will then normally have to pay it via Self Assessment. CGT is levied at 10% on your gains. *Figures have been updated to relate to the current 2018-19 tax year.